Greetings Ark Hunters. We’d like to start off by apologizing for the wait in getting an official statement out to each of you. It’s something we’ve wanted to take care of since the transition into the gamigo group first started, but we needed to allow time for things to stabilize before making any promises. 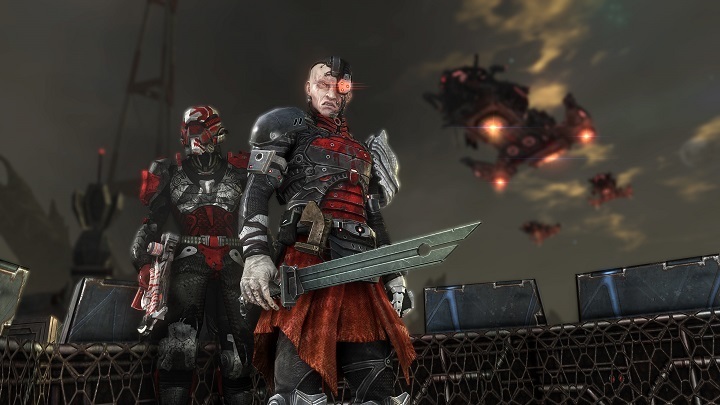 The Defiance team is still here and working hard to continue development for Defiance 2050. Critical team members like Zephkial, Rarnok, and Destromathe are working their butts off to bring new content to you. There’s still more work to be done to fully integrate all the former Trion staff into the new organization, but that process is well underway. We’re very excited for the opportunities for growth that we’ll have as a part of the gamigo group. We’re continuing to work on upcoming events and content with the next big update focusing on the Synergy Matrix. If you want to hear more on this new system, be sure to check out our livestream on Friday at 10:30 AM PST (6:30 PM UTC) on our new Twitch channel, Twitch.tv/DefianceGame. You can also look forward to the return of the Solstice Strike event in December as well as upcoming Black Friday and big holiday sales! Finally, we’re also very happy to have a new Community team coming onboard to help improve communication between the dev team and the players with both French and German support coming soon. Thanks to all of you for sticking with us. There really is a lot to be excited for and we can’t wait to be able to share even more info with all of you as we get our plans locked in for the future of the New Frontier! Share your feedback with us on our forums! My apologies. I meant to say thank you for all of your hard work on a game I really enjoy. Will there be any November events like Harvest etc? WHAT HAS HAPPENED TO CUSTUMER SERVICE AND TICKET PROCESSING?IDEMS WERE LOST ALL LAST MONTH WITH NO RESPONSE OR A GLORIFIED LETTER OF APOLOGY WITH NO RETURN ANSWER.